Despite the growth in digital and fiber systems, many telephone companies still require basic line treatment products. 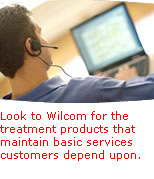 Wilcom's hard-to-find line treatment products help the telecommunications industry deliver the performance the customer expects. Products include line powered amplifiers and RFI filters.